I (and, in a big part, Sweetie) work in PhotoUp, a Michigan-based photo-editing company made up of creative, fun-loving, and adventure-seeking people. That alone makes it one of the best companies we’ve ever worked in. But more than, PhotoUp is serious in making its mark as a globally responsible, socially ethical, and environmentally sustainable industry mover. That is why our company is quite active in implementing its corporate social responsibility programs. 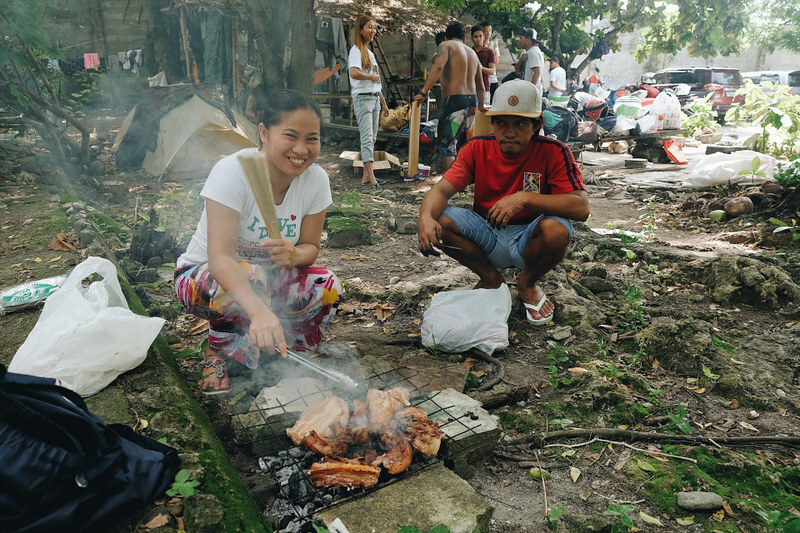 We feed starving children, provide needy students with school supplies, render assistance during calamities, organize developmental talks, and more. Since many members of our team are outdoorspeople, preserving and protecting the environment is among our mainstay programs. 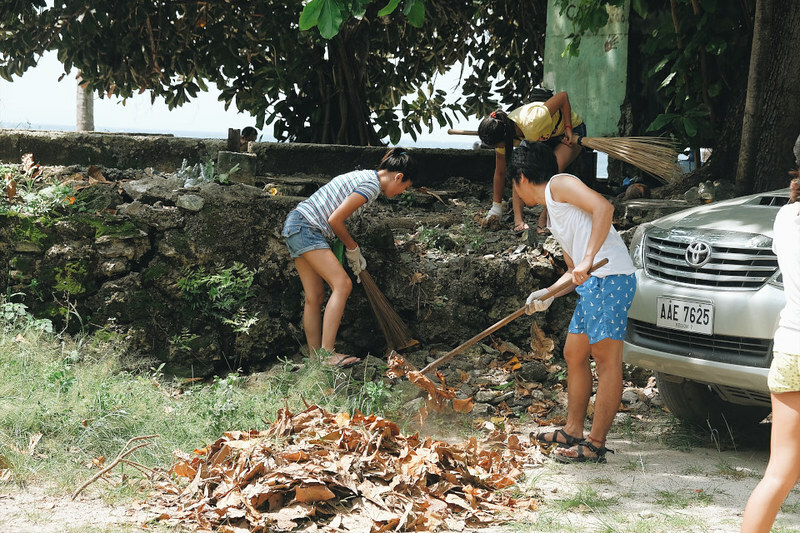 This month, we decided to tidy up a beachfront called Uncle Mike’s in Marigondon, Mactan. Our company’s free diving enthusiasts consider Uncle Mike’s as one of their favorite diving destinations. We arrived at around 9:00 AM at Uncle Mike’s, but the rest of the PhotoUp team was already there. After our operations manager Ossie delivered a short briefing of the activity, the cleanup began in earnest. Admittedly, cleanups like these are band-aid solutions in getting rid of the ocean’s massive garbage problem. 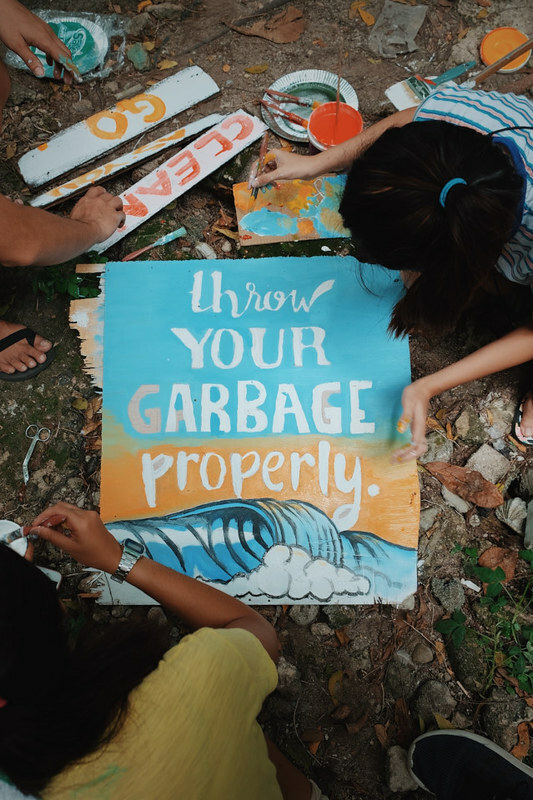 We know that in a few days after we tidy up the place, indifferent locals and beach-goers will simply throw and leave their garbage anywhere. The long-term solution, we believe, consists of two tasks: environmental education and strict implementation of environmental laws. But short-term as they are, cleanups are necessary, inspirational, and effective, especially if done frequently. Activities like these help irresponsible and careless people realize the damage they have caused. 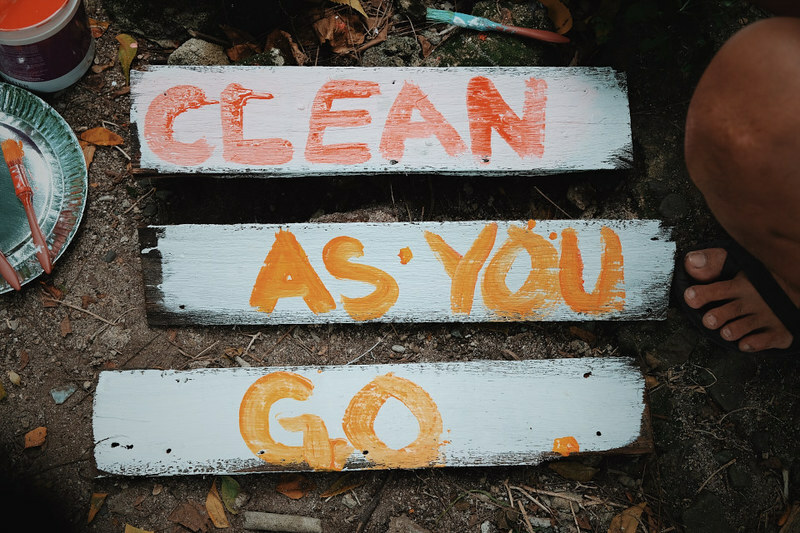 Seeing other people cleaning up their mess stirs up feelings of guilt. 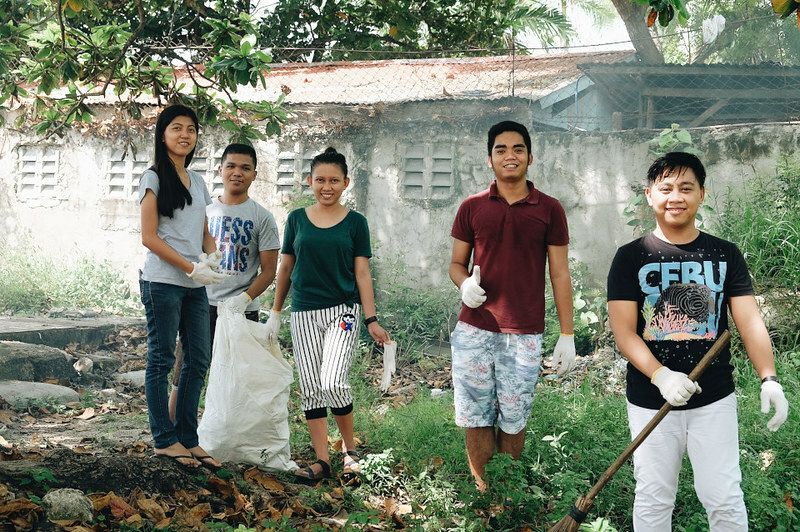 Of course, cleanup activities inspire also others to tidy up the environment and to become more responsible individuals. Some of our PhotoUp team members swept up dried leaves off the sand. Although they are totally organic and biodegradable, these dry leaves constitute a fire hazard. We can readily see trash on land. But plenty of trash hide underneath the waves. Bottles, plastics, metal cans, and other garbage can cause unspeakable damage in the marine ecosystem. The problem worsens when currents, waves, and winds carry the debris to another place, exacerbating the damage. Unfortunately, even if the sun burned the day, a strong and consistent wind shrieked a booming bass tone during our cleanup day. The gusts generated large waves and a strong underwater current. It was not dangerous, but it was strenuous for us to keep swimming in place. Subsequently, the combination of these powerful natural forces stirred a massive cloud of sediment all over the beach, rendering zero visibility. It was impossible to see what was on the seabed. Together with PhotoUp free divers, we tried to dive and clean the seabed to no avail; the thick sediment prevented a clear view. We can’t see anything within a foot from our eyes. We went back ashore empty-handed, but we swore to ourselves to come back here to finish the job. After a few hours, we filled up quite a number of sacks. 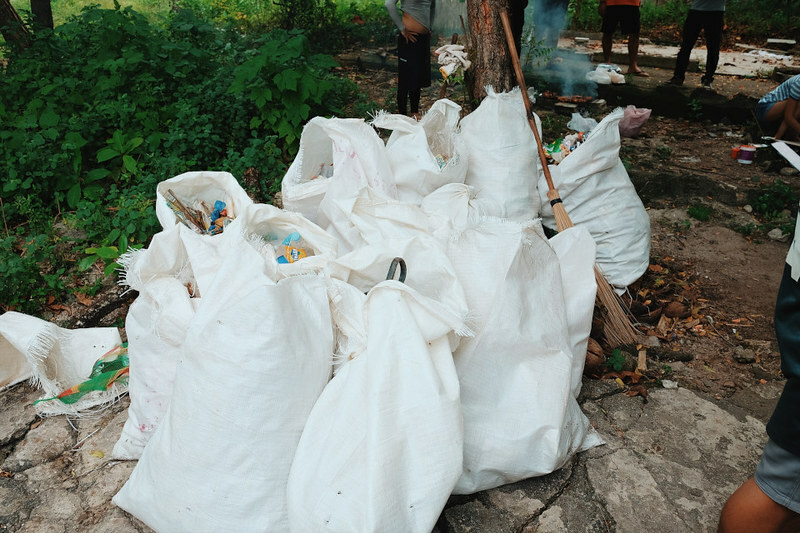 Seeing those sacks, can you imagine just how much trash there is in any of our beaches? And remember, this is just one small area along a coastline. 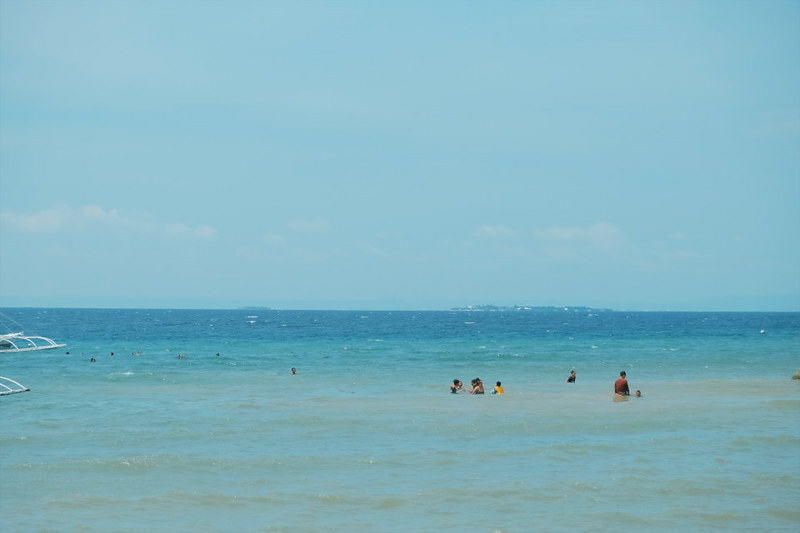 The Philippines is a tropical paradise, and our beautiful beaches are some of our most prized attractions. Let us take care of them for everyone, from locals to visitors, to enjoy. Let us take care of them so the ecosystem in our littoral areas will flourish. PhotoUp team members who are gifted with an artistic hand meticulously painted some signs. Using scraps of wood and common house paint, they were able to create visually attractive signs. Our company has adopted a strict Clean as You Go (CLAYGO) policy for us to become cleaner and more responsible individuals. Thus, before we leave the table, a room, our work station, or any other place, we make sure that the place is clean, neat, and tidy. 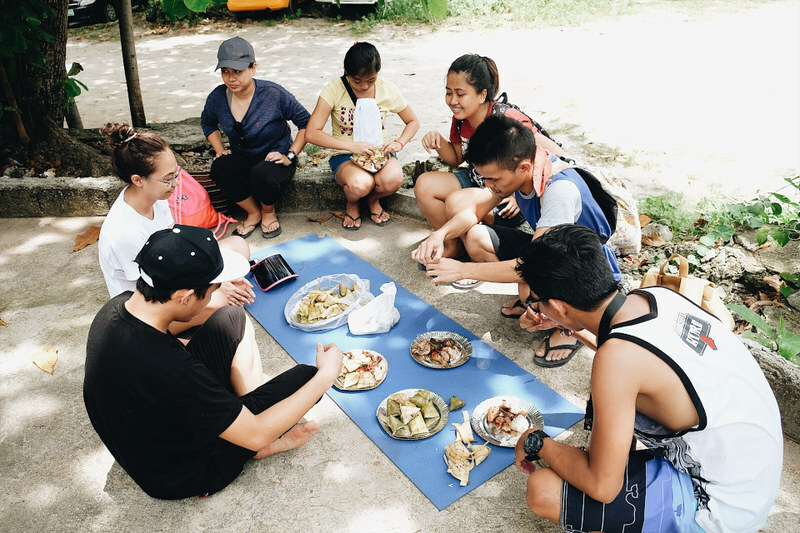 While the team picked up plastics, bottles, and other debris, the rest of the PhotoUp team prepared a fresh, hot lunch of grilled pork garnished with tomatoes and onions. Soon, it was chow time! We devoured our lunch with audible gusto. Of course, we cleaned up after ourselves before the day ended. PhotoUp’s beach cleanup is an absolute success, and it was completed earlier than expected. Some stayed to swim and dive while others packed up and went their own ways. But everyone ended the day with pride and satisfaction in our hearts. 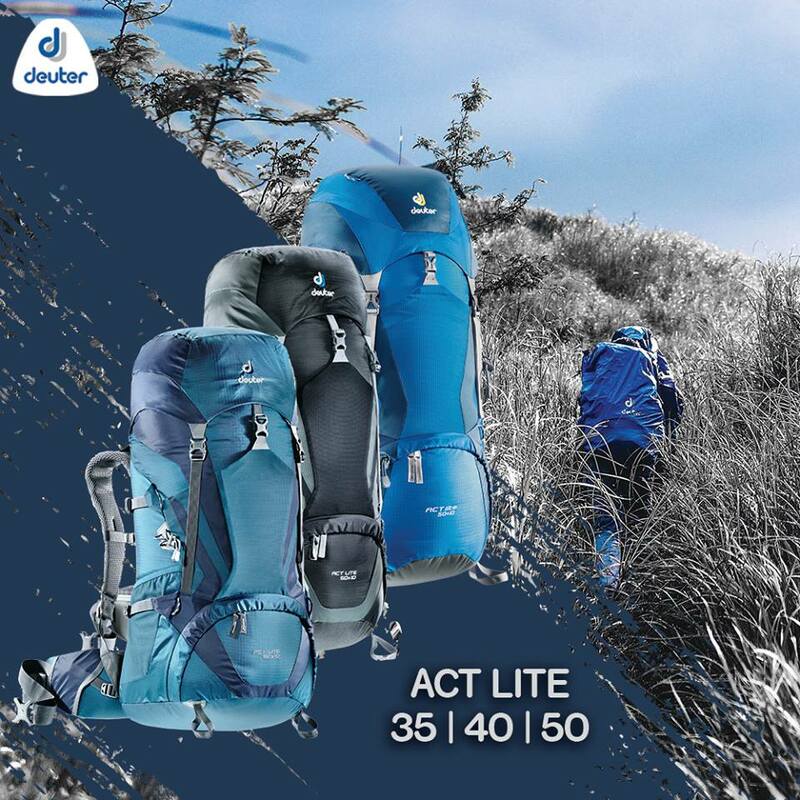 We’re happy to know that in our own small way, we have contributed to the betterment of the environment and society. Know more about PhotoUp’s mission and vision. For more information about PhotoUp’s CSR programs and team adventures, check out our company blog. 1. Don’t throw your garbage anywhere. Sand only buries them, and currents carry them elsewhere, which worsens the problem. 2. Do not throw broken glass on the beach or in the water. These can cause grievous injuries to people who step on them. 3. Put all garbage in their appropriate trash bins. In many beaches, there are bins that are designated for biodegradable and non-biodegradable trash. 4. If you can’t find trash bins, put your trash in a plastic bag. Bring the bag with you back home for proper disposal. 5. Do not leave leftover food even if it’s biodegradable. If there’s no trash bin for biodegradable trash, put them in a plastic bag and bring it with you for proper disposal. Spoiled food not only contaminates the shore but also attracts insects, birds, and stray dogs. 6. Grill only in designated areas. Do not throw ashes and charcoal to the sea. 7. Clean after your pet if you are bringing one. Keep them in designated areas, and do not leave them running by themselves. 8. When snorkeling in shallow water, keep a positive or neutral buoyancy. Do not touch or step on corals. 9. Do not touch marine animals as they are very delicate. Some are even venomous. Taking starfish, mollusks, fish, shellfish, and other creatures out of the water is a complete no-no. 10. Tell colleagues, friends, and family members to follow the beach’s rules. What a wonderful initiative! Thank you so much for your hard-work and inspiring story!! That’s right. Thank you so much for your inspiring compliment. Nice job on cleaning up the beach. I’m also curious as to how your ads are getting through my ad-blocker. Guess I’ll have to do some research to make it more effective! Thank you very much for the compliment. About your ad-blocker, we don’t know—we are not techies. And we don’t have ads except for our header and the top part of our sidebar. Great work! Wish that people would clean up after themselves so you didn’t have to, but grateful people like you are willing to pitch in and help. Thank you so much. It’s our own small way of protecting/preserving the environment. This was so wonderful to read! So great to hear more people are making a difference for our planet! It always blows my mind how people can’t possibly throw away trash, it’s so easy! This is a brilliant initiative that you guys have taken. I wish people were more cognizant about how they leave the place after their visit. It is so disheartening to see trash around the place. I just hope your efforts are rewarded by people now keeping it clean. We do hope so. We did put CLAYGO signages around. Hopefully, visitors will heed to the rules. I will never understand why people can’t throw away there garbage in a bin. It really isn’t that hard! I admire you doing this. Thank you, and we definitely agree with you. It’s really up to us, human beings, to protect and preserve the environment by following simple rules. You have done a really great job and must be proud about that. Your tips sound very meaningful. Thanks for sharing. Thank you very much for the compliment as well. We are glad to be part of PhotoUp as the company is very active into CSRs. Yes, it is. 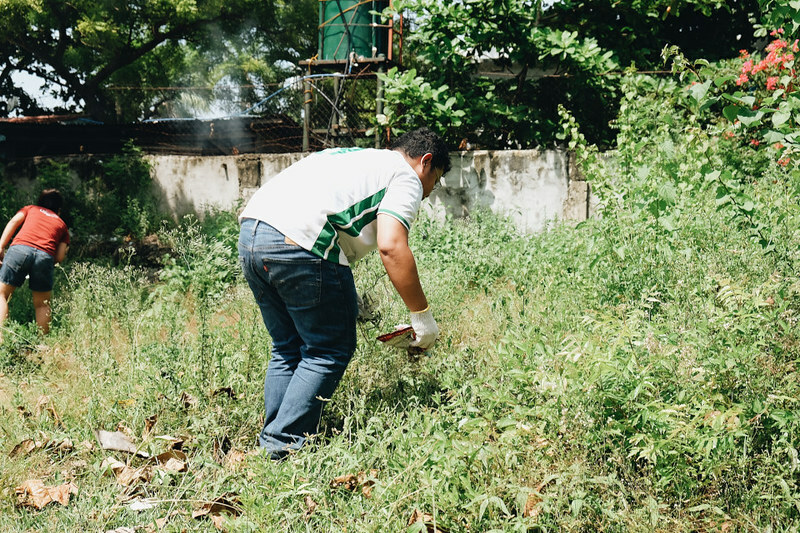 We are actually lucky to be employed in a company that is quite active in implementing CSRs, especially activities that involve environmental protection. Please clean up your beaches and forests. Seeing them in various blogposts, I feel that if we failed to get them cleaned, a valuable part of our shared heritage would be lost. We agree. If everyone won’t be lazy, practice responsibility, and clean up after themselves, then we wouldn’t have this problem. Love your article!! I work for a nonprofit that does beach cleanups in the US and hosts beach camps for teens wanting to pursue careers in marine conservation. Its so great to read about you and so many others making a difference. Thank you! We are happy to do this; in our own way, we are able to protect and preserve Mother Nature. 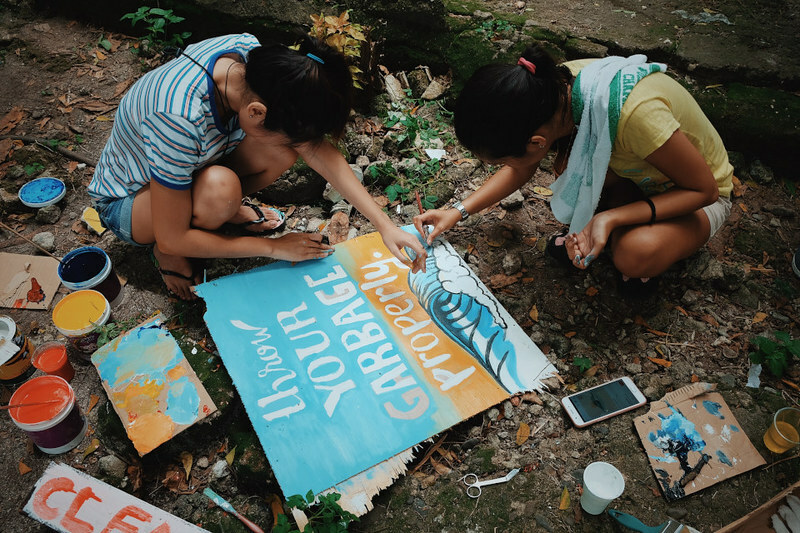 However, we are looking forward for the day that we won’t have to do cleanups because everyone takes care of their trash. That is why we favor long-term community education and awareness campaigns that heavily involves nature preservation and protection.